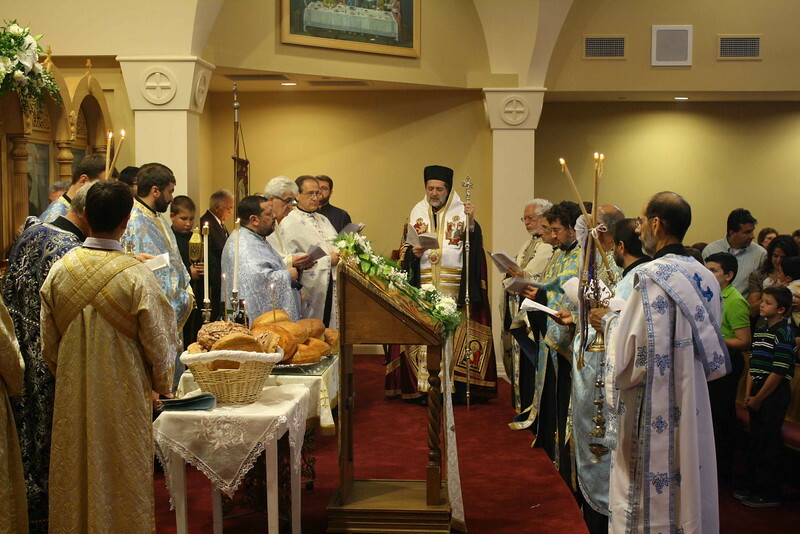 The community of Assumption Greek Orthodox Church in Grand Blanc, MI has officially opened the doors of its new church building and facilities on Sunday, August 14, 2011. Formerly in Flint, the Church has relocated as its membership has grown. His Eminence Metropolitan Nicholas of Detroit and clergy from Metro Detroit celebrated the Thyranoixia Service (Opening of Doors ceremony) followed by Vespers and dinner in the new hall.